Matterhorn Ultraks wasn’t part of my initial plan at the beginning of the year, difficulties in traveling to the Mount Olympus skyrace however meant this would now become my 4th out of a total 5 skyrunning races this year. 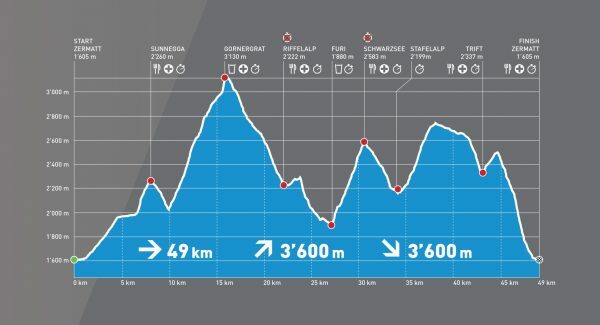 Having done this course two years before and knowing how beautiful it was I was looking forward to the event but also knew with the highest point at 3100m above sea level, it would be difficult for me to perform well. It was for this reason that I kept my goals for the race simple and hopefully manageable. These included beating my time from two years ago, finishing in the top ten and to finish ahead of the other athletes in attendance that are in the running for the overall skyracing title. Some wet weather at the start made it seem that at least something about this course might lend to my advantage. Being from northern Europe a little rain and cold seems to energise me and leave others shivering and miserable. The apparent weather didn’t make my shoe choice any easier though. I had taken the hard decision not to wear VJ’s for the race. With a long season still to go and considering the 50 kilometres of hard rocky trails this race would have, I decided to save my feat from the beating in the relatively thin soled Irocks. I was now however worried about grip, especially with the rain. Usually the VJ’s are fine for everything I race on so it’s not often I have this dilemma, but here I found myself just an hour from the start trying on a selection of the trainers I had brought, as well as a bonus pair that Sott had given me the day before. It was difficult weighing up cushion and protection against grip and responsiveness but I eventually went for the pair from Scott. It’s not ideal trying a new pair of trainers for the first time in a 49km race with 3600m of height gain but hey ho, I was about to get on with it. Knowing I wouldn’t be able to keep up from the start I resided to stick in the third group and pace myself to my own effort, hopefully saving some gas for the second half where maybe I could sneak a few places. Gas was hard to come by though and I could already feel the engine wasn’t 100% in this different environment. 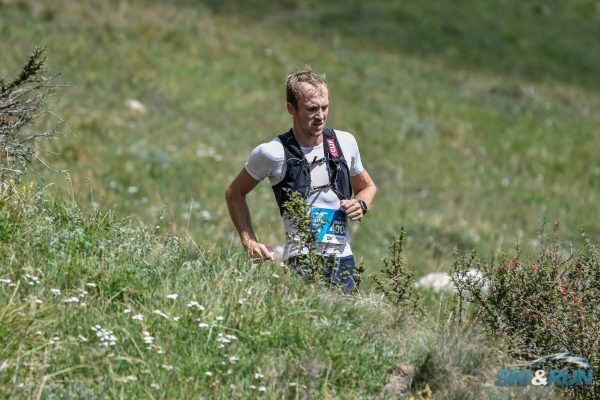 It may not seem like much but in a world where tiny percentages make for big differences, going from living your whole life at sea level to racing at altitude can hurt both the body and the mind. I have been in this situation before and was keen to make the best of it. I therefore let fly on the downhills and carefully tried to pace myself on the ups. At the highest point 2 hours into the race this strategy had put me in 11th and 8 minutes of the lead. I didn’t do much as give up but I wasn’t enthused by the situation. To make matters worse the sun had come out, it provided a magnificent view of the Matterhorn but slowly started to cook the skin on the back of my neck. Now descending it was getting hotter and hotter with the cool breeze from being on the Gornergrat a distant memory. Once down it was time to go straight up again for the second of the two major climbs. I started to feel sick and remembered although I had taken some gels I hadn’t eaten anything. Munching a few mouthfuls of bar my stomach settled a little and I took another gel. It’s a hard thing hiking on gradients you would usually run but there isn’t much choice in situations like this and I grinded away knowing that at current I was failing all of my three objectives. Towards the top my outlook started change. Through the climb I had ever so slowly gained on two athletes, on the next descent I made contact and recognised them as being ranked for the overall title. We caught another competitor to make a group of 4 and I decided that if I could beat these guys I would be happy with my race. I would lag behind sometimes taking a cool dip in nearby rivers but managed to catch back up within a few minutes. We were now onto the second of three minor climbs with the two major ones out of the way. That’s with about 15km 1000m of ascent to go. With the climb done and a relatively flat traverse next, I started to turn my legs over to see if I could generate a lead. Checking over my shoulder I could see the group had split up and I had built a small gap. Coming into the final aid station before the final minor climb I decided I had time to skip a bridge and take one more swim to cool off. It was now a case of get this climb out of the way and the descend 850m into Zermatt for the finish. It was actually descending and the flats which had saved the day for me as I had climbed poorer than two years before, this last descent was no exception and I was two minutes quicker that the nineteen I had two years previously. Now back in town and truly in some sweltering heat I was finally finished and able to find out where I had come. 8th in a time of 5 hours 10 minutes, 9 minutes quicker than before on a course that was a kilometre longer. Quickly downing a litre of water, I headed for the hotel for a milkshake, hot tub and cold bath before a well-deserved ice cream. I was still way of the lead but a happy racer nonetheless. Next up is toughest Oslo followed by my last skyrace of the year, Glen Coe skyline.